After a start to the season that has led to Helsinki and Stockholm, Italian tenor Andrea Carè will debut this December in one of the most important cathedrals of the world lyrical as is the Vienna State Opera (Vienna State Opera), Y he will hand his acclaimed Pinkerton in Madama Butterfly (Puccini, day functions 1, 3 Y 7 from December). The singer says turinés not wait to step "for the first time the scene of one of the most important theaters in the world such as the Vienna State Opera". The audience will hear the Austrian capital in one of the papers that have made it famous, which debuted in 2010 in Finland and has also played in cities of Italy, Canada and Spain. 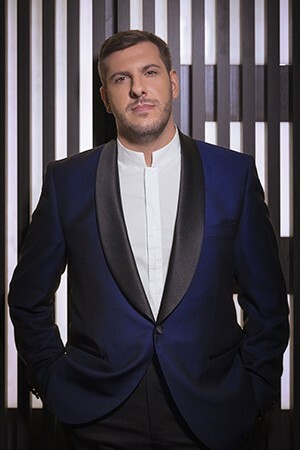 Later, Italian tenor returned to the Théâtre Royale de La Monnaie / De Munt in Brussels with La Gioconda (29, 30 from January, 1, 3, 5, 6, 8, 10, 12 February), title in April will also perform on his return to Gran Teatre del Liceu in Barcelona.